Swimming is a favorite recreational activity for family members of all ages. Whether you are seeking a fun way to get in shape, or your children would like to learn how to swim in the comfort of your backyard, you may want to consider installing a swim spa . When you are making the comparison of an inground pool vs. a swim spa, you will find that there are many reasons why a swim spa may be the best choice for your family. With services from swim spa pros in Birmingham, you will be able to find the best swim spa for your swimming and recreational needs. 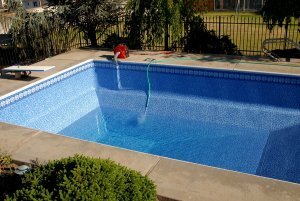 Here is an overview of some signs that you should install a swim-spa instead of an inground pool. A top sign that a swim spa may be the right choice for you is if you are seeking a unit that will provide you with unbeatable relaxation. A swim-spa can be outfitted with features that are typically found in a conventional hot tub. From water jets to relaxing seating and more, your swim-spa will help you unwind after a long day. If you would like to swim laps or play in the water with your family, a swim-spa may be a great addition to your home. Swim-spas are designed with features that are sure to delight all of the swimmers in your family. Since a swim-spa is more spacious than a hot tub, your installation will offer plenty of space to swim, play, and have fun with your friends and loved ones. Inground pools are typically only used when outdoor temperatures are hot and the days are sunny. By contrast, your swim-spa can provide you with year round enjoyment. When you install a brand new swim-spa, you can choose to equip your unit with a heating element. During the chilly fall and winter seasons, taking a dip in your heated swim-spa is sure to be a relaxing treat without the expense of heating a full-sized pool.